Tips for Thanksgiving - Marci R.D. Thanksgiving is a wonderful yet stressful holiday for a lot of people. The entire day is centered around food. And if food is a source of stress and anxiety for you, that’s a lot of pressure! I won’t be providing you with a list of food do’s and don’ts at your Thanksgiving meal. So if that’s what you were hoping for, I do apologize. But I will provide you with some ideas to contemplate. If you are anxious about Thanksgiving, I’d encourage you to take a pen and paper and journal about some of the questions below. 1. 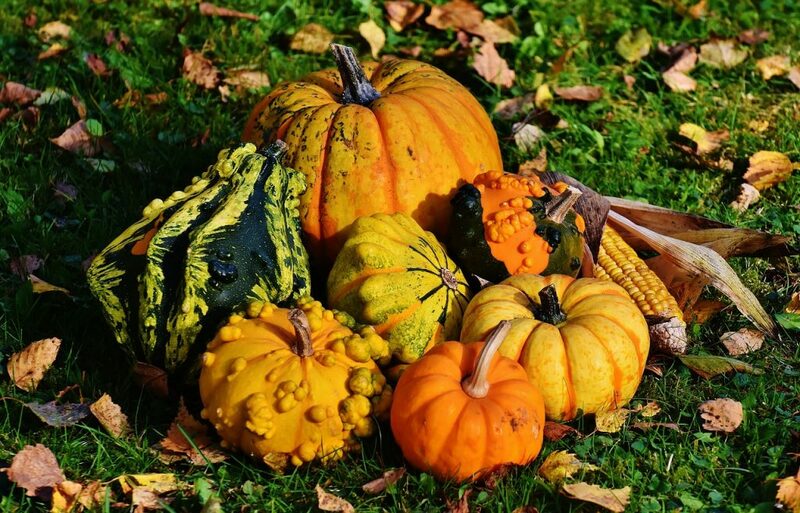 What gives Thanksgiving value and meaning for you? 2. What contributes to or detracts from the “specialness” of the holiday? 3. When it comes to food, what are you worried about specifically? Really give this some thought. What concerns you? 4. How would you like THIS Thanksgiving to be different from past Thanksgivings? 5. How would you like it to be the same? 6. List 3 specific factors that will make it hard for you to have a different experience? 7. How can you plan for those challenges? Can you do it on your own? Do you need support? Do you need a new/creative strategy? 8. What thoughts and beliefs do you have about eating on Thanksgiving? Where do those thoughts and beliefs come from? Are they really yours? Really listen to those thoughts. Do you believe them? How do those thoughts affect your feelings and actions? 9. 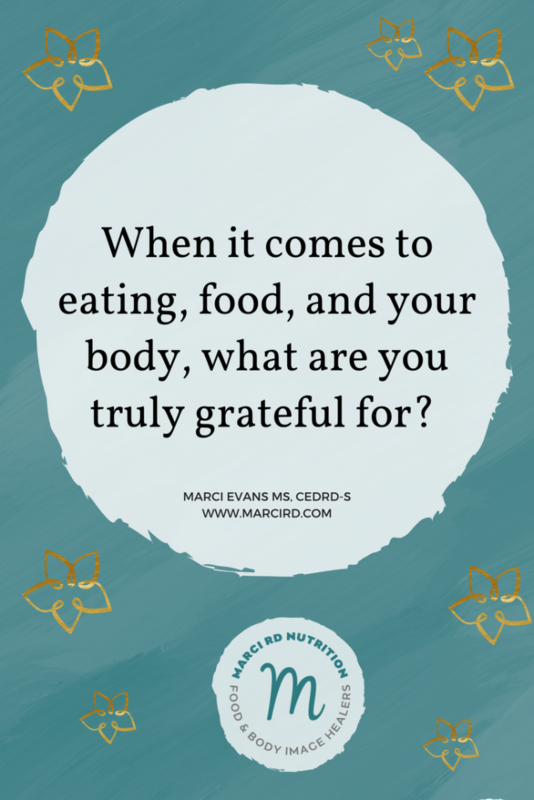 When it comes to eating, food, and your body- what are you truly grateful for? What makes you feel good? Thanksgiving, just like all eating experiences is highly individual. While eating is the central event in most homes on Thanksgiving, I hope your holiday is also filled with positive relationships, peace, and gratitude. What tips have helped you have a positive food experience on Thanksgiving?